In the ever-refreshing youthfulness of today’s rap-orientated musical society, twenty-year-old Dave has sprung forward as one of the UK’s most exciting prospects, gatecrashing the mainstream just this year but already working with industry bigwigs. The Brixton born artist favours sharp lyricism and uncontrollable immodesty – as any rapper should, elevating his position as one of London’s most sort after artists. Currently working on his highly anticipated debut LP, Dave will continue to break down rap’s boundaries and rebuild them with his young enthusiasm ready to make anybody enjoy his beats no matter their musical preferences. This collaboration with fellow Londoner Fredo earned this millennial his first UK Number 1; an achievement dreamt about by many an artist let alone completing it before the golden year of 21. Fredo’s lyricism as life as a drug dealer, discussing the streets of the capital has become a mainstay in his own music providing modern electronic beats and casual flow. 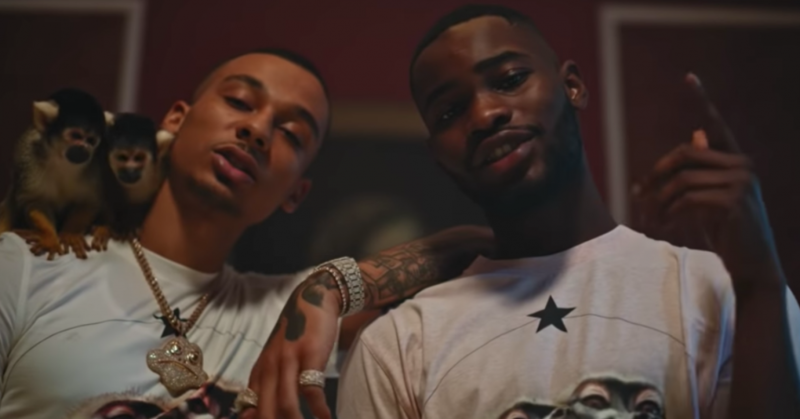 ‘Funky Friday’ embodies everything about current South London rap music and will help these two talents cement their places in the UK scene.